What happens when an online newspaper decides to implement web-only feature journalism? Will the role of the online feature journalist be different from that of a print feature journalist? now for instance include sections like “special reports” (e.g this section on the St. Petersburg Times online edition), “multimedia features” (like The New York Times online multimedia/photo section), ‘travel’ (e.g The Guardian online’s travel section), etc., where breaking news and immediacy in reporting are not core activities. In the article in the special issue of Journalism I investigate how the implementation of feature journalism in an online newsroom influences the role of online journalists and how the role of an online feature journalist is thus shaped. The article is based on a longitudinal, ethnographic case study of the production of feature journalism in the Norwegian online newspaper dagbladet.no (which, as the first Scandinavian online newspaper, launched a section entirely devoted to feature stories in 2002). What is interesting with this online feature section is that most of the production is web exclusive – it is produced by especially assigned online feature journalists. Feature stories that emerge online elsewhere (e.g Soundslides- and Flash-productions) tend to be spin-off products of already published newspaper productions. The dagbladet.no-case therefore represents a unique opportunity to explore how (or if) an online newsroom establish a new, online-based understanding of what feature journalism is or should be when they are left to explore the genre without influence from old media editors and journalists. The empirical material gathered from the case study (six weeks of observation in the newsroom of dagbladet.no in four different periods from 2005 to 2007), 28 interviews with newsroom staffers, and document analysis) reveals that – in this particular case – the online feature journalists became heavily influenced by the productions routines and role performance of their online colleagues. Hence immediacy became a virtue for them – they developed a production routine where frequent publishing of new stories became important. 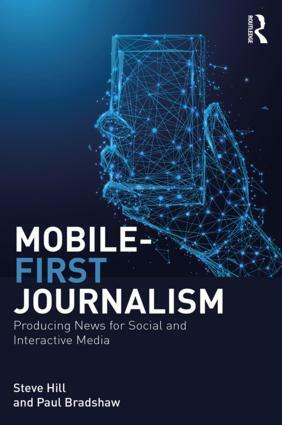 However, the online newsroom at large was influenced by what the feature journalists brought to the table: The other online journalists felt that the feature section ernhanced their status and gave them a competitive advantage over other Norwegian online newspapers. In order to provide their role with status, the online feature journalists in dagbladet.no felt a need to distance them selves from how feature journalism is understood and practiced in conventional media in general and in the Dagbladet (print) feature journalism supplement “Magasinet” in particular. This lead to, amongst other things, a dismissal of the reportage as genre. The online feature journalists felt the readers provided the same kind of ‘human touch’ to their stories as the method of field reporting and face-to-face interviewing did for their print counterparts, as the readers were allowed to comment on and attach personal stories to the feature pieces. An interesting examples of this strategy can be found in this story on the troubles of gay people in rural areas in Norway, where the comments at the end of the article are dominated by personal experiences on the topic from gay readers (the story is in Norwegian). Even though they became heavily influenced by the work routine of their online colleagues, the feature journalists of dagbladet.no felt a need to distance them selves from the standards of online journalism in general which they perceived to be too inaccurate and shallow. They therefore became intensely occupied with for instance backing up there stories with a sufficient amount of sources and hyperlinks. They perceived their role as being pioneers in the process of increasing the standards of online journalism. This was appreciated by the other online journalists in dagbladet.no as they felt the feature journalists enhanced the overall status of online journalism. The online feature journalists of dagbladet.no developed a strategy implying that close relations with readers became more important than close relations with sources – the latter being a more common virtue in conventional feature journalism, where close encounters with people and milieus are common elements in the discourse. Even though they based their stories on many sources, the majority of the sources where second or third hand and largely assembled from other websites (reflecting a copy/paste practice common in online journalism at large). In stead of searching for first hand sources, the feature journalists devoted their attention to the audience. Readers were perceived as content providers both in the sense that the discussions the stories generated were regarded as valuable content and because the journalists ‘outsourced’ the human touch reporting to the audience. Thus, the readers to some extent became the sources. The article concludes that the web exclusive feature journalism of dagbladet.no is a “multi-skilled practice of feature journalism entailing a devaluation of reportage as genre and emphasizing audience participation. This marks a shift from source-driven to audience-driven feature journalism, where debate and sharing of information and knowledge replace intimacy and adventure as dominant discourses.” (p. 715). The case study is framed by an understanding of labour in general and media work in particular as undergoing substantial change and entailing a more individualized and random style of work. 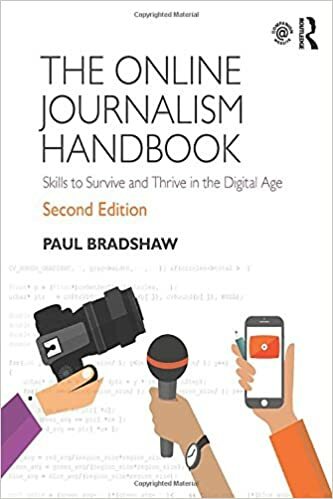 This development can be traced both in a historical axis of factors that have shaped the role of journalists throughout history, and a contemporary axis of the particulars of labour in modern society at large. Thus, the case study of how the role of an online feature journalist was negotiated within the online newsroom of dagbladet.no, serve as an example of these more general trends in media work. This entry was posted in newspapers, online journalism and tagged case studies, dagbladet.no, feature journalism, Norway, online journalism on October 4, 2009 by Paul Bradshaw. Try new stuff! If it doesn’t work, just stop doing it. Then move on and try something else. That’s what Mackenzie Warren, director of content at Gannett Digital (that’s the digital division of what’s currently the USA’s largest media company), advised a group of Norwegian media executives at the Norwegian Institute of Journalism this week. Now, let me first point out that Mackenzie Warren has been a journalist since the age of 14. He’s been a photographer, reporter, online editor, managing editor… just about anything you can be in a newsroom. Except that at Gannett, and at Fort Myers News-Press, where he worked before heading up the digital content section at Gannett, they no longer call it a newsroom. “We’ve done away with the word “newsroom”. There’s no news in a newsroom (desk reporters are often the last to hear of a story). Plus, it’s not news we do – it’s aquiring, processing and distributing information”, he said. This entry was posted in newspapers, online journalism and tagged community, development, future journalism, gannett, Hyperlocal, innovation, interactivity, local newspapers, Mackenzie Warren, News-Press, Norway, norwegian institute of journalism on February 7, 2009 by Paul Bradshaw. Can journalists be a fan of a politician? This entry was posted in online journalism and tagged facebook, impartiality, jens stoltenberg, Norway on December 4, 2008 by Paul Bradshaw. This entry was posted in newspapers and tagged Directories, france, Hungary, interactivity, Macedonia, netherlands, News and Media, Newspaper, Norway, Poland, Portugal, Publishers, Spain, Switzerland, United Kingdom, United States on May 7, 2008 by Paul Bradshaw. What do we say it is? This entry was posted in online journalism and tagged citizen journalism, enterprise, iNorden, Nicolas Kayser-Bril, Norway on December 10, 2007 by Paul Bradshaw.